Afternoon tea has to be my favourite English tradition- sandwiches, cakes, scones and tea, what's not to like?! Having arranged to take my mum and sister-in-law for a celebratory afternoon tea (I'm soon to be an auntie) the decision as to where to go was an easy one! 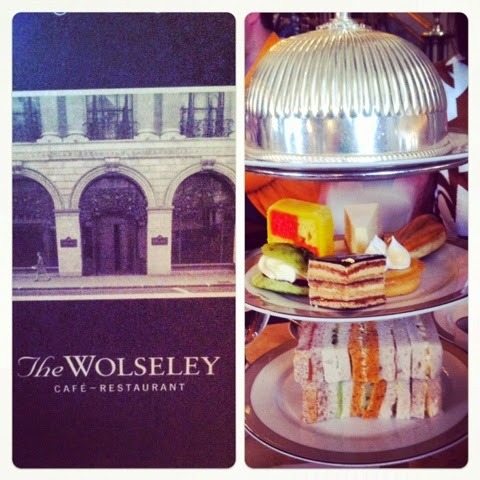 The Wolseley in Mayfair (to which this is my 4th visit) is by far my favourite place in London to indulge in afternoon tea! Great service, buzzing atmosphere and most importantly free replenishments- a delightful place for a truly delightful afternoon!